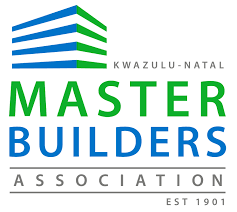 Master Builders South Africa (MBSA) has condemned illegal and violent demands for construction works, following reports of violent intimidation and harassment of its members and their employees by mafia-style business forums on construction sites in KwaZulu-Natal and other parts of the country. MBSA Executive Director, Roy Mnisi said the federation is concerned about the spread of this trend to other provinces and has called for the country’s law enforcement agencies to assist in bringing sanity to the sector. The forums’ modus operandi is demanding 30% of the entire construction contract price while claiming to be fulfilling government’s mantra of radical economic transformation. This according to the Executive Director,is being done without regard for the fact that main contractors may have already subcontracted a proportion of the work that often far exceeds 30% of the contract to Small, Medium and Micro-sized Enterprises, SMMEs and black contractors. Construction companies have been forced to delay work on affected projects, escalating their cost and rendering workers on such sites redundant for long periods on end, due to the violent nature of the incidents in the construction sites. “As a federation of employers in the building industry, we represent over 4000 members, the vast majority of which are small and medium-sized construction companies. They are sub-contracted at various levels in these major construction projects and, despite having scheduled their work accordingly, now often find themselves idle when work on sites is suspended,” says Mnisi. Mnisi however adds that the MBSA is committed to transforming the sector and to providing more support to emerging contractors, and emphasizes that the violent and criminal nature of these disruptions has no place in a progressive economy. He warns that the use of violence, intimidation and harassment will only reverse the gains made to date in giving a legitimate voice to the call for transforming the industry. “We require all MBSA members to comply with all BBBEE-related laws, Procurement Regulations and the Sector Charter Codes. We are working with our members to ensure speedy transformation of the sector. The issue of on-site intimidation by business forums, along with others affecting the industry, will be addressed at the MBSA’s upcoming Congress in Port Elizabeth,” said Mnisi. In 2016, similar incidents were reported in KwaZulu-Natal.The MBSA engaged the local forums and all parties agreed on a road map for transformation and committed to continued and non-violent engagement, amongst other concessions. However Mnisi noted challenges experienced in managing the forums’ demands. “With the forums being numerous and, in some instances, not formalized, discussions with some of them sometimes achieve very little, if anything at all. Transformation is a very legitimate issue that must be addressed, but as an industry we are now at risk of losing the traction that we have gained if these incidents are allowed to fester and if we allow members of our communities to embark on illegal activities under the guise of pursuing radical economic transformation,” he said. Mr Roy Mnisi also urged genuine built environment-related business forums to engage MBSA and other legitimate voluntary associations in the sector to work together and find sustainable and lawful ways of addressing the imbalances of the past. Master Builders South Africa is a federation of registered employer associations representing contractors and employers in the South African construction industry.